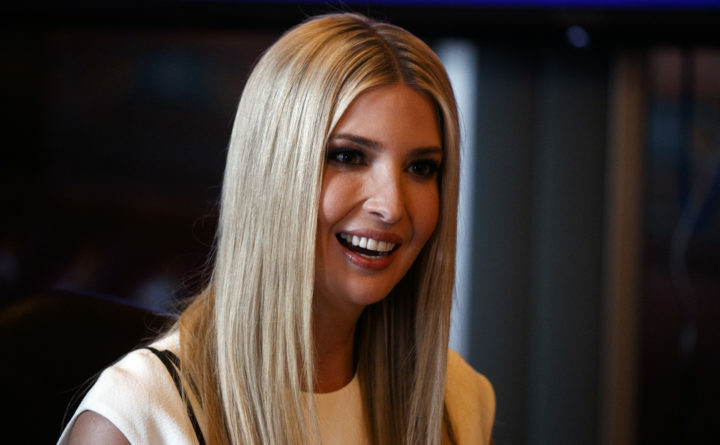 The White House said President Donald Trump’s daughter Ivanka Trump will meet Wednesday day with Sen. Bill Cassidy, R-Louisiana, and other key members on Capitol Hill to continue discussions on the issue. Ivanka Trump worked last year with Sen. Marco Rubio, R-Florida, on a plan to provide parental leave benefits via the Social Security system, but the effort never gained real traction. And as Republicans warm to the issue of family leave, a growing group of Democrats – particularly those seeking their party’s presidential nomination in 2020 – are also pushing paid leave as a top priority. Sen. Kirsten Gillibrand, D-N.Y., and several House Democrats on Tuesday reintroduced their FAMILY Act, which would provide up to 12 weeks of paid leave and has become Democrats’ template for how the government could guarantee the benefit not just for new parents but also for those who are ill or providing care to a family member. Rubio and Rep. Ann Wagner, R-Montana, plan to reintroduce their alternative family leave proposal within the next month, a measure that draws from existing Social Security benefits and is significantly less generous than what Democrats are proposing. It offers six weeks of paid leave that would be extended only to new parents. And the president, who called for paid family leave in his State of the Union address last year, again signaled in his address to Congress last week that he views the effort as a top priority. “I am also proud to be the first president to include in my budget a plan for nationwide paid family leave, so that every new parent has the chance to bond with their newborn child,” Trump said. Democrats have called the bill deeply inadequate, noting it would apply only to new parents and not others in need of medical-related leave. Yet Rep. Rosa DeLauro (D-Connecticut) said yesterday she’s grateful Republicans are willing to at least discuss the issue. Wagner shouted “yes” when Trump referred to paid family leave during his address to Congress. The reference also prompted applause from the crowd of House Democratic women clad in white, who sat in silence for much of the president’s speech. The FAMILY Act has 160 co-sponsors in the House and 34 in the Senate – including every senator and representative seeking the Democratic presidential nomination. Shabo, who testified at a Senate Finance subcommittee hearing last summer on the topic, said it was striking that every witness before the GOP-led panel agreed that adopting guaranteed paid leave was “an economic imperative.” That wouldn’t have been the case five years ago, she said in an interview.